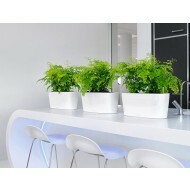 Since 2000, Lechuza has inspired plantscaping professionals world wide with their exquisite designs, convenient features, and smart sub-irrigation system. 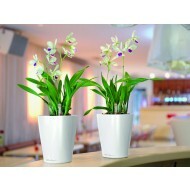 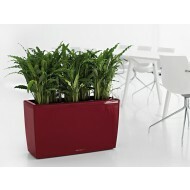 Lechuza planters are lightweight, shatterproof, and UV safe. 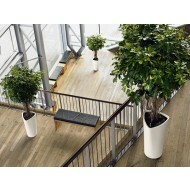 While most Lechuza containers are suitable only for indoor planting, the Cottage Patio Collection is manufactured to stand up to outdoor elements. 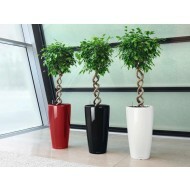 Lechuza offers a wide variety of styles, shapes, and sizes to perfectly complement any landscaping design. 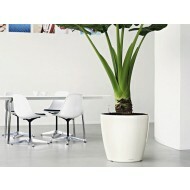 Lechuza planters are made in Germany under the highest production standards. 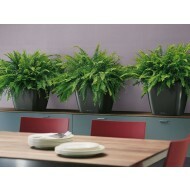 Removable plant liners make changing out plants easy. 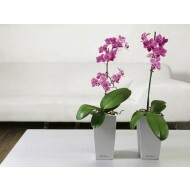 Plants in these containers require less watering due to Lechuza's proven sub-irrigation system. 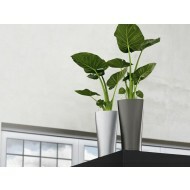 Plants will experience better growth due to a balanced supply of water to its roots.